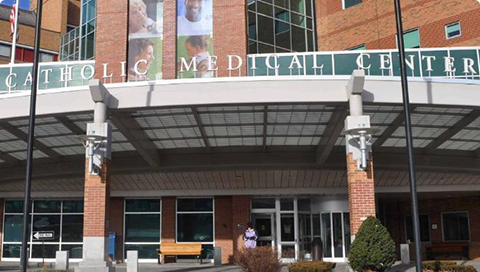 CMC is one of New Hampshire’s largest health systems, licensed for 330-beds, with an affiliated medical staff of over 400 physicians and 3,000 employees. We serve more than 180,000 patients each year, offering a wide variety of healthcare services in a highly technical and mission-oriented environment. Our history is rich with religious connection and commitment to the well-being of the human race, yet we constantly evolve to meet and exceed patient expectations. CMC is the home of the nationally-renowned New England Heart & Vascular Institute, rated among the top cardiovascular programs in the country. Our doctors were the first in the state to perform a mechanical heart/left ventricular assist device implant and first in New England to implant the WATCMAN™ for atrial fibrillation. CMC was also one of the first hospitals in New Hampshire to establish a joint venture with independent medical staff members when it became a partner in the freestanding Bedford Ambulatory Surgical Center and imaging center. CMC’s birthing unit, The Mom’s Place, was the first hospital in the country to have a neonatal unit based on "couplet care." Our nationally—accredited Breast Care Center was the first in the state to use breast angiography and SAVI SCOUT® localization for breast surgery. With primary care practices that care for the very young to the young at heart and our dedication to community outreach programs, CMC is helping to foster a healthier community, everyday. We’ve had a chance to mark several milestones by being the first in the state, first in New England or first in the country to offer innovative medical treatments and technologies.